Trout is a popular fish for a number of reasons. Apart from its delicious flavor, it also offers a number of nutritional benefits. For instance, a 2 ounce cooked trout filet has 1% of the daily recommended intake of Vitamin A. It also contains B12, B6, niacin, riboflavin, and folate. Other nutrients you will find in every serving include calcium, sodium, manganese, selenium, potassium, and more. Before you cast your line, however, it’s a good idea to learn how to fish for trout and make sure that you are well prepared. Knowing what you need and what to expect on your day out will ensure that you make the most of your time by the water and reap the best rewards. Just like many other types of fish, there are a number of varieties of trout. As your fishing experience grows, you will learn even more about this fish. Reading up and scrolling through pictures is handy but holding your first few catches will teach you even more than you expect. Rainbow trout is easy to identify by its rainbow stripe along the sides. Some are of the dark variety while others are classified as light rainbow trout since their overall coloring is lighter. Brown trout are known for their brownish appearance and ringed dark and ringed red spots. The Colorado River Cutthroat Trout has fewer spots towards the head but more spots around the tail area. Their gill plates are noticeably red as is the red slash below the chin. The Rio Grand Cutthroat has heavy black spots along its midline as well as smaller, dense spotting on the tail. The gill plates also have a red tint. The Greenback Cutthroat has a greenish color on the back as well as ringed spots that fate into heavier spotting along the tail. The Blue River Cutthroat has red gill plates and slashes beneath the chin. They have fine spots and are arguably some of the most beautiful of all. Graylings are known for their gorgeous large dorsal fins while the Mountain White Fish looks similar to a carp and can be quite a challenge to catch. There’s a lot more to catching trout than simply casting your line. Each type of fish has its own mannerisms and habits. If you want to be as successful as possible, it’s important that you understand the fish as well as your environment. 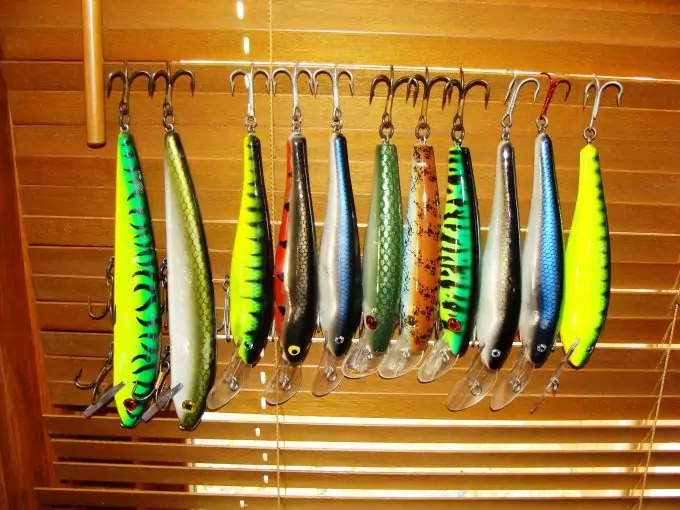 Do check out our guide on how to select the top trout lures to make fishing more fun. Start by analyzing the current. Take note of how the water moves and, if you notice any deeper pools created by the currents, you might find large trout here. They are mostly found in these pools around dawn or dusk which is why so many people head out for early morning fishing adventures. Choose your bait and lures carefully. Not only do different types of fish have different preferences, but so too do different types of trout. Stocked trout (also known as farm raised) are lured by different tasty treats than native trout. In many cases, it’s good to keep a few options on hand and see which one works best on the day. It’s also important that you only fish in designated areas. You need permission and a permit to enter fishing grounds. Ignoring these regulations can result in hefty fines. You will also be notified of any limits (number of fish or weight limit). When on the hunt for lake trout, your best bet is to seek out cold, deep water. You might find some trout in warmer regions, but the pickings are usually quite slim compared to the lakes in colder regions. 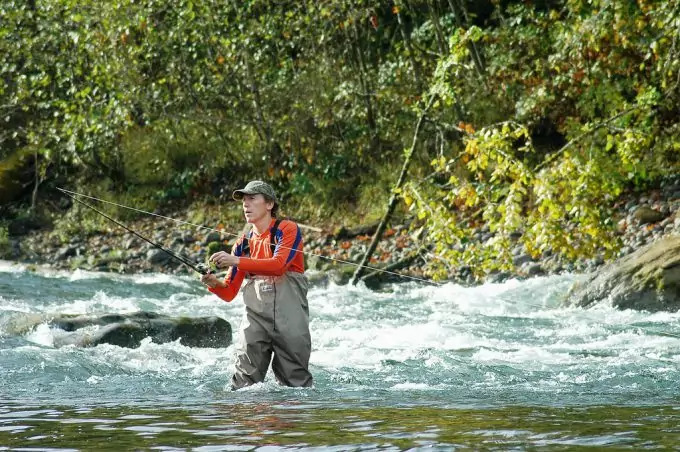 In many cases, you can run an online search for trout fishing grounds in your area. These are most likely farm raised trout bred for the purpose of fishing. Select your fishing rod (preferably light-action) and a tough enough line. If you are aiming for larger trout, you will need a tougher rod of course since some of the adults can exceed 35 pounds! Look for a lure that resembles a native fish that the trout would normally eat. Alternatively, a juicy worm could also do the trick. A depth finder will help you target the best fishing spots and, the warmer it is, the deeper the trout will swim. 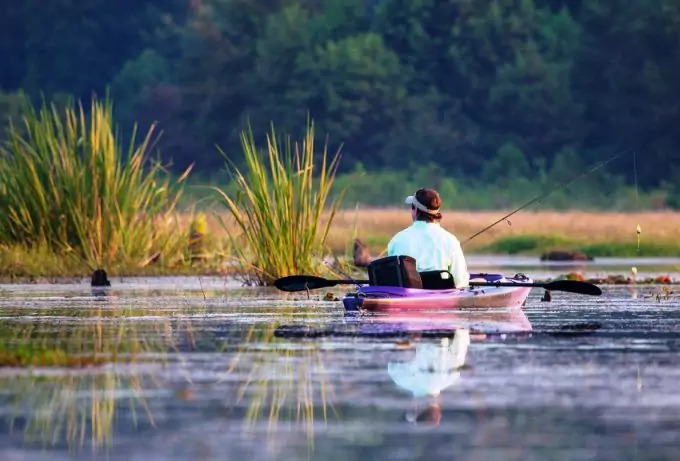 If you are fishing from a boat, you can tempt the trout by jiggling the bait around. If the trout has scattered, trolling slowly from your boat is a good technique. Remember that larger trout tends to swim away slowly after they take the bait so watch your line closely! When fishing for trout in a river, it’s good to know where the fish comes from. Fishing for native fish is restricted by even tougher regulations than fishing for those raised and bred for this purpose. These regulations are clearly stipulated, and they relate to the amount of fish you can catch as well as the type of equipment permitted. 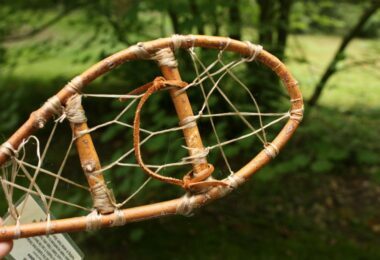 For example, you might not be allowed to use certain lures, or you may be restricted to a single hook if catching native trout. Split shot weights will make casting your line into a river much easier and you should always cast upstream. This will allow the bait to flow along with the river current and appear more natural. If you are exploring a new fishing area, you should take a moment to walk around and scout the area for fish. Look for the best spot and then retrieve your fishing gear and supplies. There’s no point in lugging everything along with you if the fish are few and far between. If you’re not happy with the grounds, return to your car and move on to the next spot. Again, explore and decide if you are satisfied or not. If you catch a fish that you do not wish to keep, you should keep handling to a minimum and release it promptly back into the river. Trout is one of the most popular fish for beginners. These fish are fairly readily available both in nature and thanks to specialized farms. The good news is that anyone can reap wonderful rewards with just the right techniques and basic equipment. There’s no need for extremely expensive equipment, particularly if you’re just starting out. 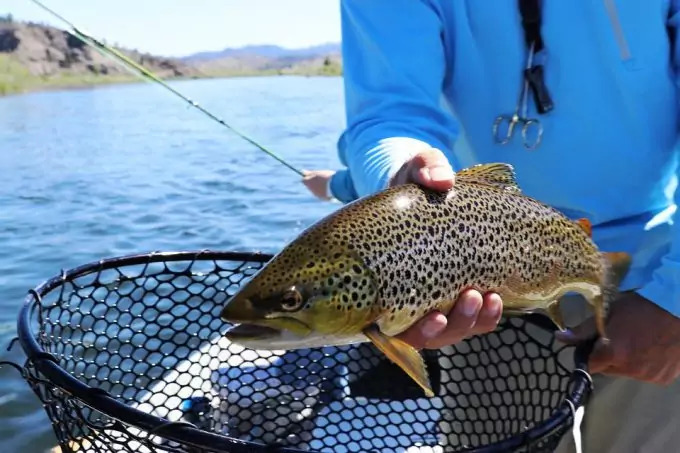 Once you gain experience, and you know for sure that you are going to continue fishing for trout, then investing in higher end gear is a worthwhile next step. When you first lay your eyes on the various types of reels, it’s easy to become overwhelmed by all the choices. In reality, there are three main types to choose from: spinning, spin-cast, and conventional. Other, more specialized varieties also exist but these are not designed for beginners, and it’s best to stay focused on the best options for your needs and budget. There are sub-categories of each type of reel, and each of them has its own list of pros and cons. For beginners, the spinning (or open-face) reel is a popular choice. They perform well, and they are easy to handle. They also require very little maintenance. When purchasing the reel, make sure that its line capacity is at least 100 yards of 4 – 6lb test monofilament. The reel shouldn’t have any backplay and a smooth drag operation. Pay attention to the materials used to make your reel. Metal is great as is carbon fiber. Just like your reels, there are a number of rods to choose from and each one presents a fair amount of pros and cons. Different rods are suited for different tasks, so it’s good to know what you’re looking for before you go out shopping. 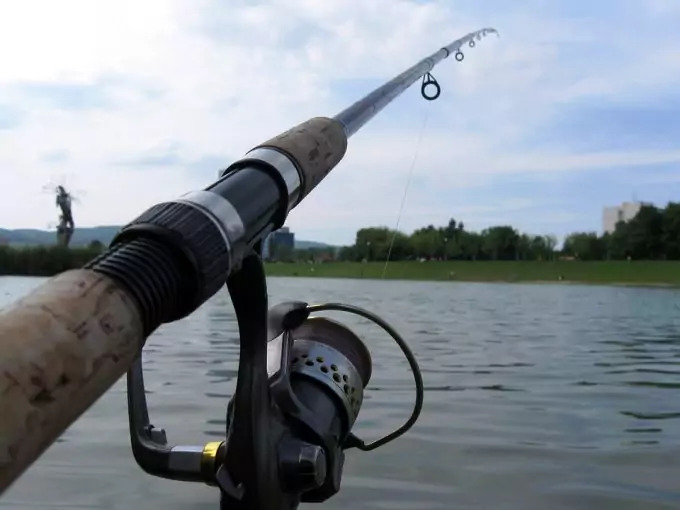 See our reviews of the top fishing rods to help you get a big catch. 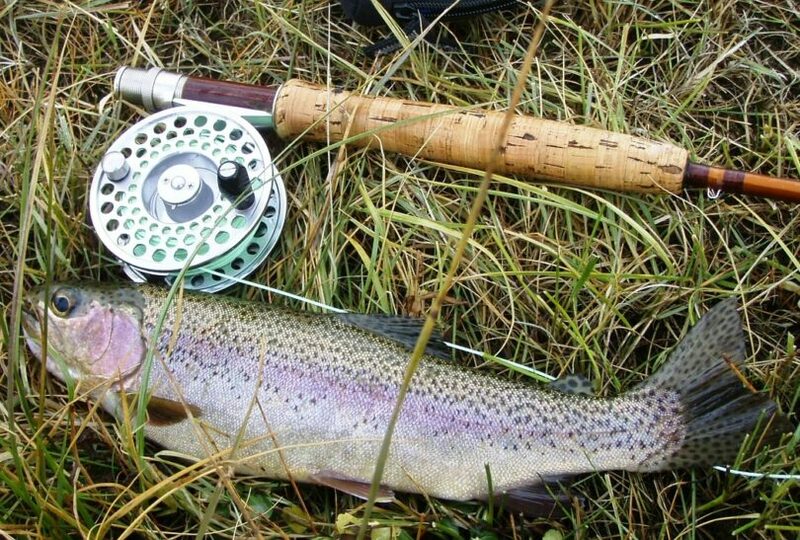 You will notice that rods are classified as fly, casting, and spinning rods. These indicate the type of reel that is best suited for that particular rod. If you use a spinning reel, you will need a spinning rod. Spinning rods are easy to identify by looking at the eyelets that run along the rod. The first eyelet (the one closest to the reel) is the largest. They become smaller and smaller as they reach the tip of the rod. Casting rods are known for having an additional finger grip for your index finger while spinning rods do not. If these two major differences don’t guide your shopping process, you can ask an assistant for some help or simply read the product tags/labels. Look for a rod with a test range of anything from 2lb to 15lb. You can see these details printed on the rod for easy reference. Medium-light to light stiffness is ideal. Most of the other features will depend on your personal preferences. There is no substitute for a quality line whenever you cast off. That said, when choosing your line, you need to be realistic in terms of price and what to expect. Very cheap lines might not live up to your expectations. Of course, buying the most expensive line on the market does not necessarily guarantee success and, as with your other equipment, beginners don’t always need the most expensive products. If you buy the rod and reel together from the same vendor or outlet, you might be able to have them throw in some line for free or at a discounted rate. 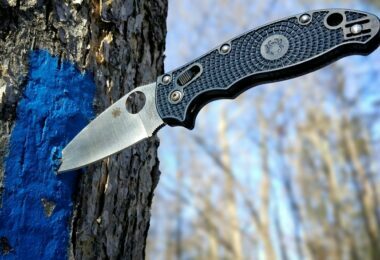 Don’t expect the high-end line but perhaps something reasonably priced with reasonable strength. The type of line to look for is a monofilament line that has passed a 4 – 8lb test and it should have as low a diameter as possible. 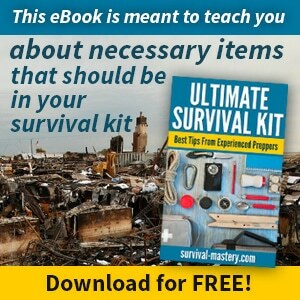 When you start fishing, there’s no need to carry a full collection of tackle at all times. 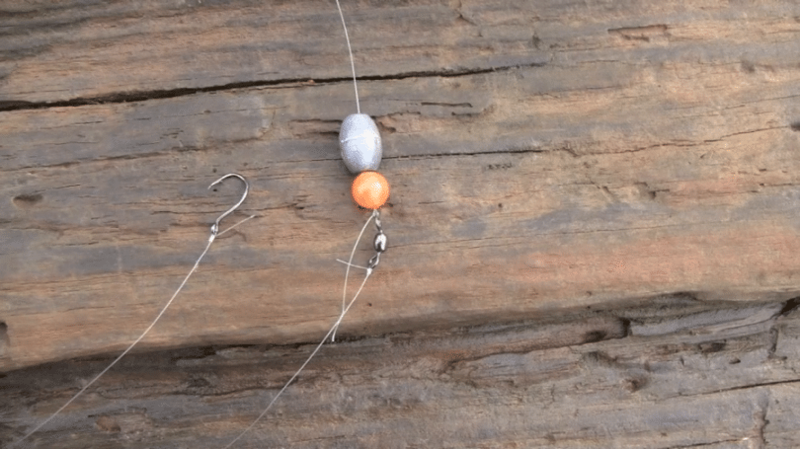 You won’t need to own every possible type of hook or sinker – just the most important ones. Remember, instead of trying to buy too much, focus on buying quality. Higher end hooks are worth the investment, and they will more than pay for themselves over time. You will also need egg sinkers (1/4 and 1/8 ounce), split shots in various sizes, and size 8 or 10 snap swivels. Single egg hooks (size 8 or 10) and a bait holder (size 6 or 8) as well as Open Eye Siwash hooks (size 8), and a leader line (4 – 6lb test) is also advised. 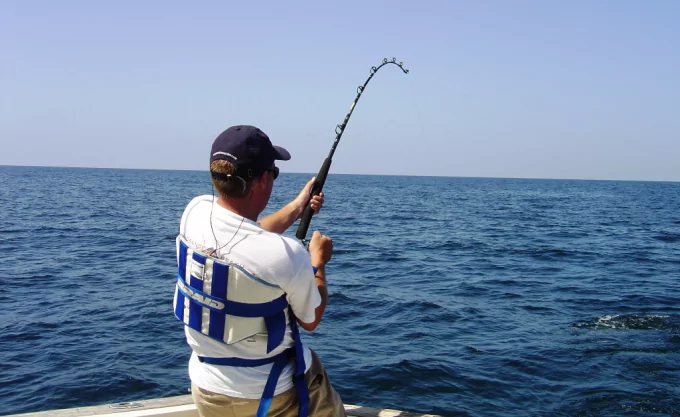 Remember that your equipment is not just for getting the fish to bite but also to reel them in so they should prove durable. 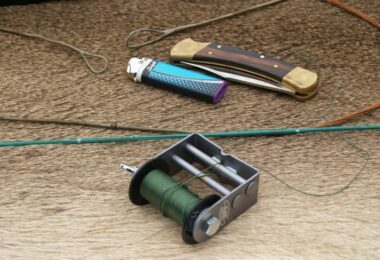 It’s always good to invest in various lures since one might work today while a different one proves more productive tomorrow. The type of lure you use will depend on the season as well as the water conditions. You want to make sure that the lure is appropriate for the conditions, or the fish will “know” something is not quite right! For example, heavy rains usually cause an abundance of creepy crawlies to visit the surface. As a result, something worm-like will get their attention. Similarly, just because you are attracted to a particularly colorful lure, it does not mean that the fish will be too! If you are ever in doubt, search online discussion forums or talk to your fishing buddies about what works for them. There’s nothing more helpful than first-hand experience. Remember, if you are planning on using bugs or worms, then you can purchase them on the day from your local bait and tackle shop. Fresh bugs are best since they don’t tend to last long and, once they deteriorate, they won’t have as much of an effect. There are also other types of bait like salmon eggs and other flavored treats. Again, like lures, different types of bait will work differently depending on water and weather conditions. 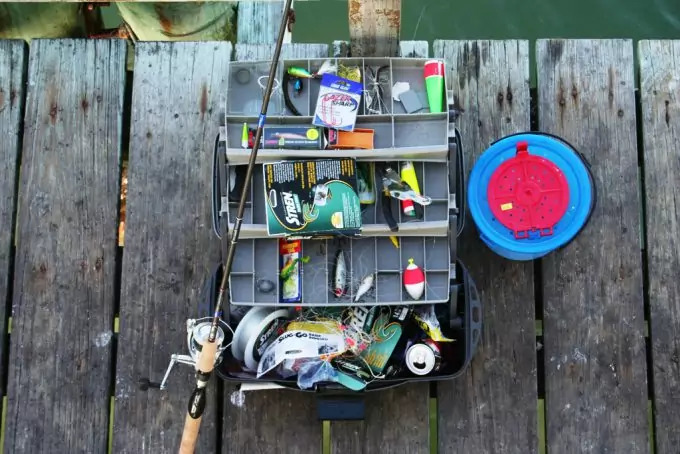 A quality tackle box will help you keep everything organized. Remember, keep your bait in a separate container so that you don’t get that smell everywhere! Speaking of smells, if you want to remove the scent from your lures, you can use anything from anise to garlic or even special smell removing products from your bait and tackle store. This doesn’t necessarily help you catch fish, but it keeps those smells at bay which is important if you don’t want your garage or car to smell like a dirty fish tank! Remember to always keep your valid fishing license as well as a copy of the local fishing regulations with you. Keep everything in a plastic sleeve to prevent it from getting wet or dirty. You will also need to take your own supply of food and drinks as well as cool storage for your fish. Don’t forget your sunglasses, sun protection, life vest (if you’re boating), bug spray, and your camera of course! 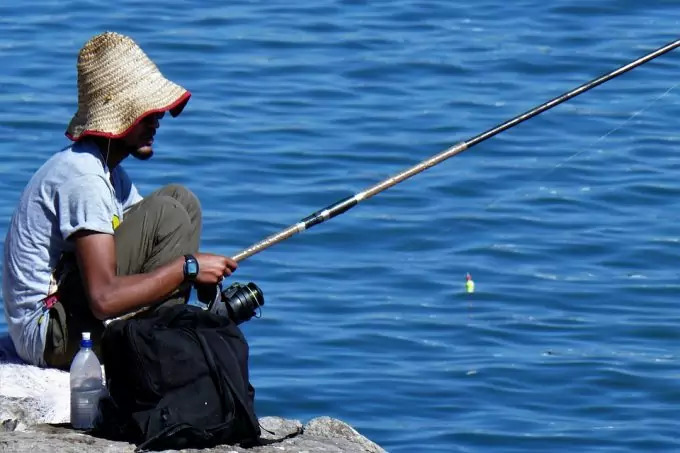 Whether you plan on casting your line from a bridge, boat, or wading in the water itself, there are some important safety tips to keep in mind. Boat safety is fairly obvious. You should inspect your boat prior to departure and wear your life vest no matter how well you think you can swim. If you are fishing from some form of bridge, you should check the railings to make sure that they are secure and never lean over too far. As for wading in the water, you need to right clothing and footwear. Keep a change of clothes with you and wear the proper footwear. Cleats and studs help increase your grip on the slippery terrain. Take your time and never rush in or out the water. Make sure that every step you take is a safe one before you make the next move. When standing in the water, you should create a wider base than usual. In other words, don’t keep your feet close together but rather spread them apart a bit for better balance. A wading belt can also help keep the flow of the water into your waders to a minimum. If you take a step but can’t find your footing, slide your foot around until you get your grip. Once you have your entire equipment ready, and you have set your heart on a particular location, it’s time to get your bait ready. Wiggly worms work quite well – particularly after heavy rains. If the conditions have proven windy over the past few days, you might have better luck with grasshoppers. Your bait needs to be as natural as possible and appropriate based on the weather conditions too. Minnows are tiny, shiny fish that also make great bait as do salmon eggs. They are available in many bait shops, and they are particularly suitable for fishing in cloudy water. That said, this kind of bait can come off rather easily so you might need some extra patience when using these eggs to get the job done. Got your license? 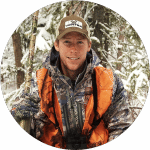 Do read on our article on how to get your fishing and hunting license to help you.